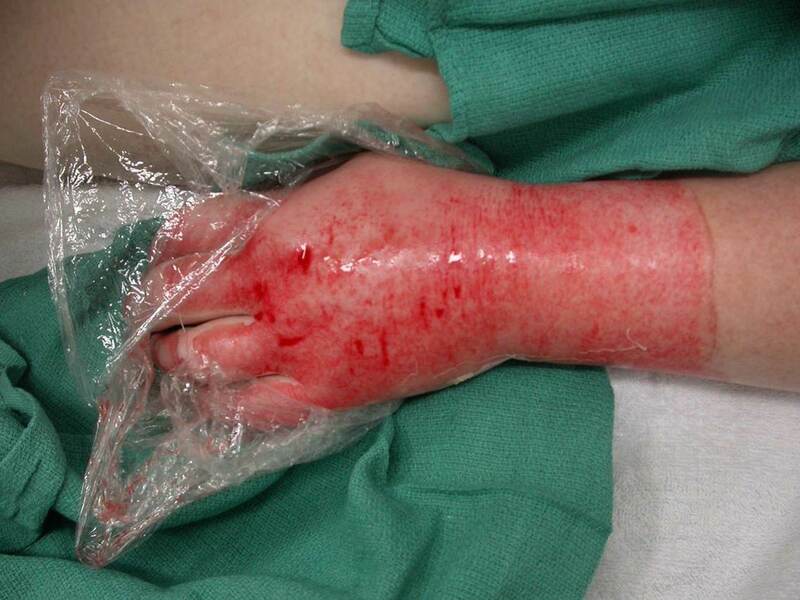 Do not apply tight circumferential unyielding bandages after burn injury. Elevate the affected part of the body in the days following injury. Use slings and pillows to position and elevate the affected limb. If injury occurs to the lower limb, patients should elevate the leg/foot at rest. Encourage functional activity and range of motion exercises.